A collection of stories of the Partition recreates a narrative of loss. It is conceived and initiated by US-based Guneeta Singh Bhalla. I feel like a plant that grows in a bottle. I have no roots. 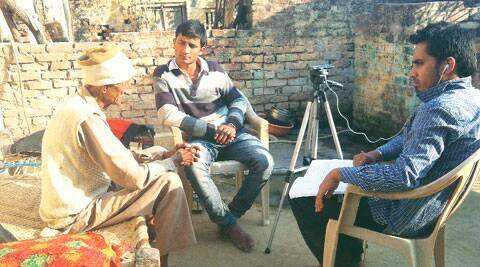 I can be put anywhere,” says 76-year-old Aftab Ansari. He was nine when his family took a train to Pakistan from Delhi on August 11, 1947, three days before the Partition of India took effect, leaving behind everything in Allahabad. There were others who made the journey in reverse. Joginder Singh, now in his 70s, fled Lahore with his family in 1947. He made it to India, his six sisters didn’t. They were abducted on the journey and Singh, a businessman now, hasn’t heard of them since. Praful Kumar was just eight when he saw his father shot dead and his mother killed with a sword as they were fleeing their home in what is now Pakistan-occupied Kashmir. These are just a few of over thousand stories that stitch together a narrative of pain and loss. Stories that are now part of The Partition Archive, a crowd-funded oral history project that records stories from Partition survivors from across South Asia. Stories that recall happy childhoods that changed overnight and speak of families that suddenly found a border drawn between them. Conceived and initiated in 2010 by US-based Guneeta Singh Bhalla, a physicist by training, some of the collections can be viewed on the Project’s website, 1947partitionarchive.org, and on their Facebook page. “However, most of the stories in the public domain have been edited because we do not want to endanger the survivors in any way. We have also kept identities anonymous, or revealed them only partially. Then there are sensitive stories about Hindu-Muslim relations,” says Prakhar Joshi, who works for the website and has recorded over a hundred stories. The stories will, however, be made available to scholars for research. A computer engineer by training, 24-year-old Joshi is one of the four “story scholars” employed by the website. Story scholars are chosen under a 10-month fellowship programme, based on their qualification and on the merit of the stories they have previously recorded for the project. Then there are citizen historians, volunteers who can contribute stories of Partition to the website. At present, there are 200 such citizen historians from across the world documenting for the website. The idea for the project took root when Bhalla visited Hiroshima in the summer of 2008. “At the peace memorial in Hiroshima, I saw videos of victims telling their stories, and I thought the stories of Partition must also be preserved,” says Bhalla. 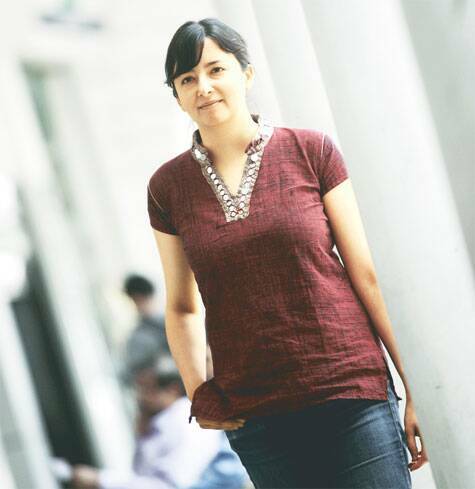 She quit her post-doctoral research at the University of California, Berkeley, in December 2012 to pursue the project full-time. Bhalla has early memories of growing up with her grandmother’s recollections of the Partition. “My grandmother boarded a train in Lahore on August 13, 1947, to escape the uncertain times temporarily with her three children, including my father who was just a year old then. When they reached the station, they saw rioters opening fire indiscriminately. They escaped by locking themselves in the waiting room. On the train, they stuffed their bags in the windows to escape the firing,” says Bhalla. Her grandfather had stayed back, hoping to put things in order, but just a day later, on August 14, he was evicted by the Pakistani Army. “He left behind two large houses in the heart of Lahore, and was only allowed to bring one car and the Guru Granth Sahib to India. It was only after six months that he was reunited with his family in a refugee camp in India,” says Bhalla. Armed with her personal history, Bhalla, now 34, began visiting temples, mosques and gurdwaras in California to find others whose lives had been touched by Partition. “It all started by word of mouth,” she says. “I would talk to strangers, sharing my family’s past and listening to theirs. Talking about it had a cathartic effect on the survivors,” says Bhalla. She later came to Punjab and travelled extensively in the villages, interviewing people. Among the many that she has spoken with in both India and Pakistan are writers Bapsi Sidhwa and the late Khushwant Singh. Many of the people Bhalla has interviewed are no more. “Roughly, the age group of the interviewees is between 70 and 110 years. We are in a hurry to collect stories because the survivors are old,” she says, adding the stories will be transcribed and organised at a later stage. “One of the persons I interviewed in a remote Punjab village was 104 years old,” she says. The project is gradually becoming popular, with some people even contacting the website on their own. “Once you get one person, he is able to give you 10 more contacts and those 10 will give you 10 more. Now, people have started approaching us on their own through our website and Facebook page,” says Zain Alam, a story scholar. Alam, who too grew up hearing about Partition from his family and even based his research for his Master’s in history on them, belongs to the family associated with Firangi Mahall, a madrasa based in Lucknow famous for disseminating religious education. “Half my family lives in Pakistan, the other half in Lucknow,” says the 23-year-old, who has recorded at least 120 stories over the past four months across Lucknow, Delhi, Mumbai and Hyderabad. One of the stories he has recorded, chronicles the churn Partition brought in one family. “I met a woman whose mother decided to stay on in Pakistan, saying, ‘Raj badalte hain, par log nahi badalte (Rulers change, people don’t)’. She was a widow and didn’t want to start a new life in a new place,” says Alam. She stayed back and along with her children, which included a married daughter, converted to Islam. However, her son-in-law and his family decided to move to India and when the daughter joined her husband, she converted back to Hinduism. “The family now has an interesting religious and cultural mix and they remain in touch,” says Alam, who interviewed the family in Mumbai earlier this year. There are other such stories of adaptation and co-existence. “These stories open your eyes to a time when multiple communities were living together, and many segregation issues, which exist now, were just not there,” says Bhalla.